GIRLS REC FUN MEET IS SATURDAY, APRIL 27 FROM 2-5 PM. YOUR CHILD WILL PERFORM, RECEIVE RECOGNITION, SEE OUR TEAM GIRLS PERFORM, AND RECEIVE GOODIES. COST IS $50. Welcome, Shining Light Gymnastics is a faith-based gymnastics facility located in Spring Hill, TN. We offer a variety of gymnastics classes for boys and girls at every skill level ages 3 to 14. We also offer classes for parents and toddlers looking to spend some fun, quality time together as well as competitive gymnastic program for those looking for a more advanced experience. At Shining Light, we seek to provide the kind of fun, exciting, and challenging physical activities that are critical for helping kids develop coordination, agility, strength, and flexibility. At the same time, we believe that helping students accomplish their physical goals is only part of our mission. 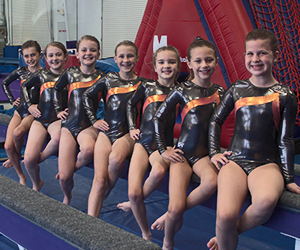 Our coaches are highly trained and passionate about helping our gymnasts and cheerleaders develop the self-esteem and confidence that are so critical during childhood. Gymnastics is the basis of almost every sport. It is an excellent tool for total physical and psychological awareness., Gymnastics provides the building blocks needed for the growth and development to improve your child's confidence, discipline, flexibility, strength, body control and awareness. We look forward to helping your child grow physically, emotionally, and spiritual… while having fun along the way!